Embarking on your dream business venture requires a steady cash flow and that goes for ALL types of businesses. “Cash Is King” is an adage popularized in the 1900s that holds true to its name till this day, often used to underline the importance of solid cash flow that refers to the overall fiscal health of a business. A business is technically bankrupt despite having a positive net worth. Having a healthy working capital makes your business more attractive to work with other partners. Here are the 7 must know guidelines that you need to learn to manage your finances for your business. 1. Never Exhaust Your Cash – Always make sure that you never run out of cash at all cost and remember that “Cash Is King”, as no cash means no business. No cash means that you must take bank overdrafts. The bank overdraft interest will wipe off your profit if you do not manage it well. 2. 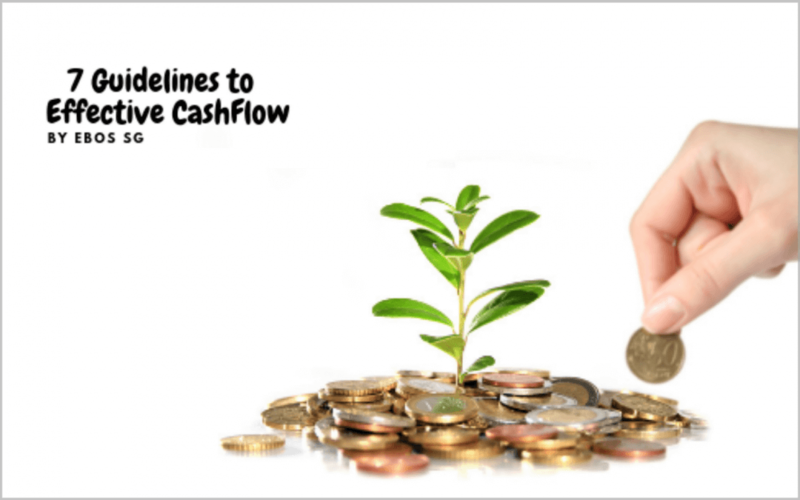 Budgeted Cash Flow Statements – Preparing a cash flow forecast for the following 6 months. This one question is the rudimentary element that can change the way you manage your business. It lets you know the current state of your business; are you chasing for cash or is cash chasing for you? 3. Cash Projection vs Strategic Decision – Having a proper planned cash projection is important in making profitable business decisions and encompasses all the previous rules established as; failure to plan is planning to fail. Big investments and purchase should be properly planned before tendering and signing of contracts. 4. Updated Cash Balance – Having an updated cash balance in your accounting system simply devolves around keeping constant record of what work has been done today. By doing this cashflow statement, you will have the numbers you need – at your fingertips whenever you need them. Even the most experienced business decision makers fail when they make imprecise and improper cash balances. 5. Outsourced – Here’s a tip to keeping an accurate cash balance in your accounting books. If you can’t do it, get someone who CAN! 6. Cash Balance is NOT Bank Balance – Don’t ever mix or mistake cash balance with bank balance as they are two distinct forms of cash; it is not a common occurrence that those two would ever be the same. It is useless and more of a hindrance if you try to manage your cash flow using the bank balance. It is basically setting your business up to fail from the get-go. 7. Focus on your clients – They are the BOSSES who will pay you on time. By eliminating your cash flow problems, you can utilize all your talents and time into building the company-to-customer relationship of your business which is the greatest factor in determining the success and growth of your business.